The 30.5 MT Deluxe Yacht Cemre4 comfortably accommodates 18 guests with her 9 Triple Cabins and is operated by 5 experienced and dedicated crew. 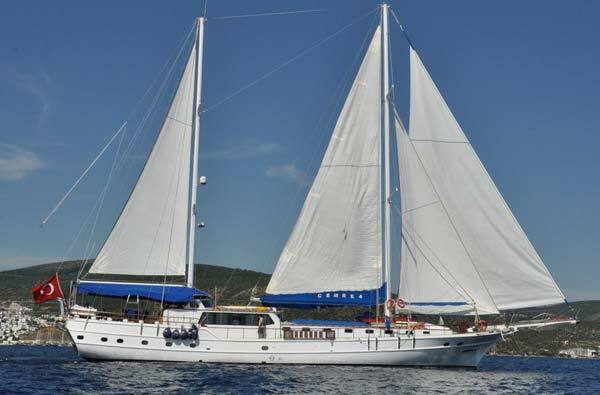 Cemre4 is available for charter in Turkey and Greece in summer (May to October). Cemre4 toys and tenders include 0– contact us to know the full list.